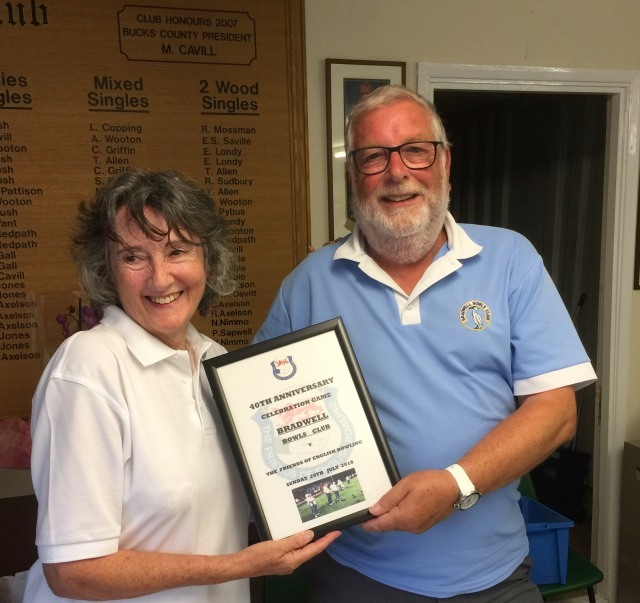 The Friends v Bradwell B.C. 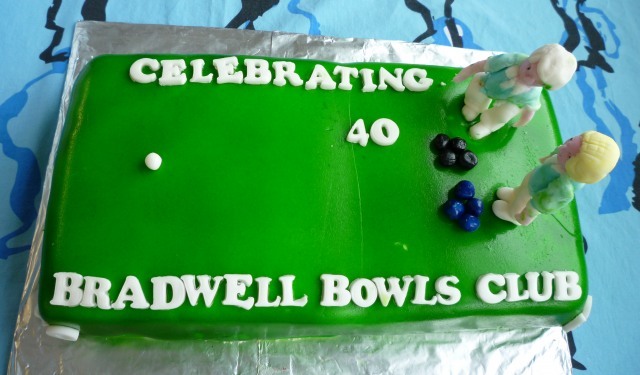 On Sunday July 29th, Friends from nine counties, including Somerset and the Isle of Wight descended on Bradwell Bowls Club to help them celebrate their 40th Anniversary. We were greeted with cups of tea or coffee and a sumptuous buffet supplied by the President Bob Borg and the lady in charge of catering for the day, Cheryl. 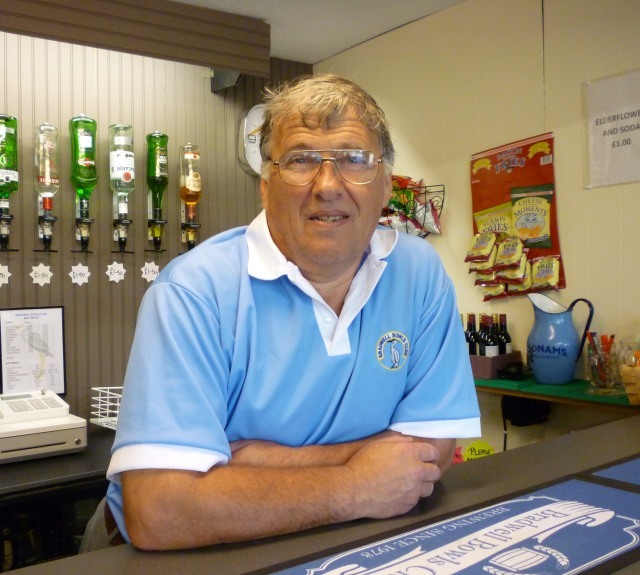 Also available was the bar which was manned all day by D.J. The weather forecast was not very promising with a 60% chance of precipitation. Delighted to say that we only had a few very light showers which did not spoil the game. In fact if was lovely bowling out of the oppressive heat that we have been having lately. After the formal greeting by President Bob (who then left the green to continue peeling the potatoes) a group photo was taken and then a spider took place, the proceeds of which went to the Moles. The game then took place. 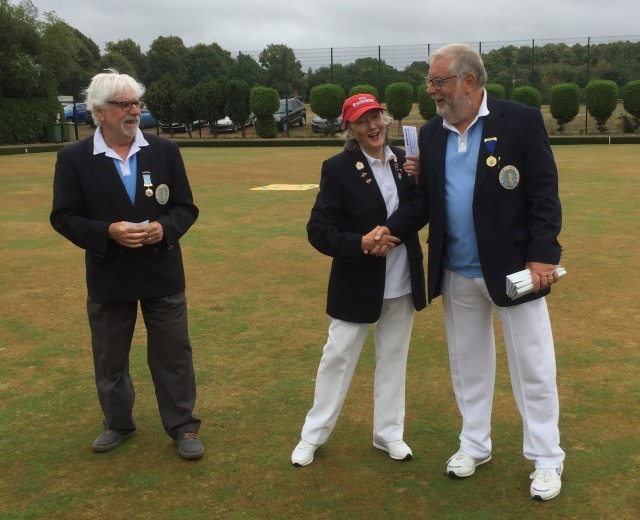 There was lots of laughter across the green and good and bad bowls played by all. Unfortunately for the Friends we had more bad than good and Bradwell beat us by 14 shots. Back in the clubhouse we were served with a magnificent hot, home made meal, including home made coconut cheese cake for dessert. The raffle then took place and there were lots of super prizes won by members of both clubs. The proceeds of which went to the clubs charity which this year is Starlight. Captain Dave then made a short speech and told us a little about the club and how it started. He also introduced us to one of the founding members. Captain Cyndy then replied and told everyone a little about the Friends. Top rink prizes were then presented to both sides and also to the losers. These days do not just happen and a lot of work and planning goes into them. 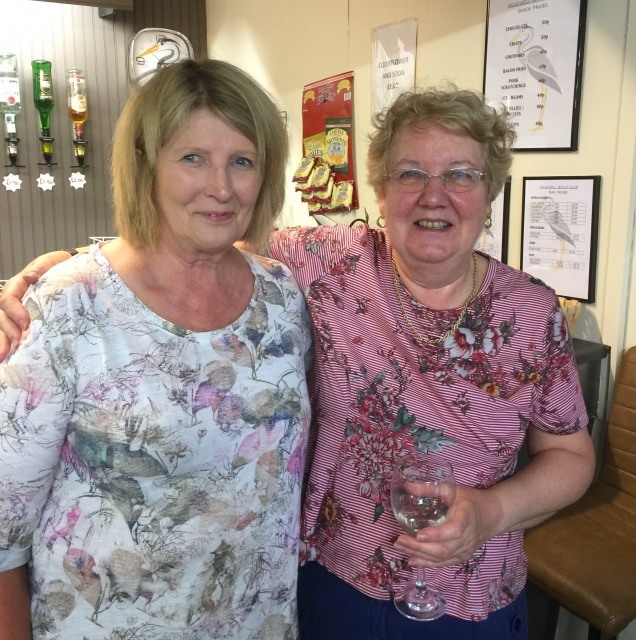 Thank you Bradwell, to the catering ladies (and Bob) to the bar man, a special big thank you to the green keeper Paul and to all your members for making this such a special day.